AustriaVisit to Swarovski Crystal World in Wattens. Visit to Murano Glass Showroom in Venice. Visit to Piazalle Michelangelo in Florence. Guided City Tour in Rome. Switzerland Visit to Mt.Titlis with Cliff Walk and Lucerne. 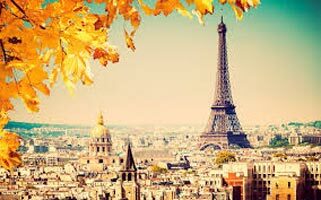 FranceA Chance to see the Paradis Latin Show and an illumination Tour of Paris. Guided City Tour in Paris. 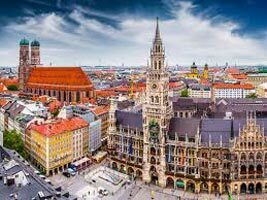 Welcome to Munich. On arrival, you will be met by your Tour Manager / Local Representative outside the customs area, who will welcome you (Group will depart for Innsbruck at 1400 hrs). We, then proceed towards Austria and visit the amazing Swarovski Crystal World in Wattens. Next, we drive to Innsbruck. On arrival, we take you on an orientation tour of Innsbruck. See the ‘Goldenes Dachl’ - the Golden roof, an ornate Gothic balcony and a symbol of the city. Also see the Heiblinghaus, a building resembling a wedding cake. Overnight at the hotel in Innsbruck. glass. We return to St. Mark’s Square, the most photographed Square in the world and soak in the unique atmosphere of this charming city. Overnight at your hotel in Padova / Venice. After a continental breakfast, we check-out of the hotel and drive to Pisa. We visit the ‘Field of Miracles’, wherein stands the grand Romanesque Pisan styled marble Cathedral. See the Baptistery and the bell tower, known throughout the world as the Leaning Tower of Pisa. Remember to take a photograph of your family against this wonder of the world. We, then journey towards enchanting Florence, the art capital of Italy. Take a breathtaking panorama view of Florence from Piazalle Michelangelo. See the impressive Duomo, the imposing 14th century Palazzo Vecchio Tower and Ponte Vecchio, Florence’s most distinctive bridge on the Arno River. Overnight at the hotel in Florence/Arezzo. After a continental breakfast, we proceed on a day trip to Rome, the capital of Italy. On arrival, visit St. Peter’s Basilica, the world’s largest Cathedral, which will amaze you with its size, beauty and splendour. Later, on your guided panoramic city tour of Rome see Piazza Venezia and the colossal Victor Emmanuel II Monument, built to commemorate the 50th anniversary of Italian reunification. Relive the thrills of historic Rome as you view the ancient Roman & Imperial Forums. See the gigantic Colosseum - symbol of Rome. It is said that when the Colosseum falls, Rome will fall and the world will follow. Overnight at the hotel in Florence/Arrezo. mountain scenery, sparkling lakes and folklore traditions. Overnight at the hotel in Switzerland. hewn from a limestone cliff to commemorate the bravery and loyalty of Swiss Guards. You may take a stroll across the Kappelbrucke- the world’s oldest covered wooden bridge, originally built in 1333 over the Reuss river. You have free time at Schwanenplatz to shop for Swiss army knives, chocolates, watches, souvenirs, etc. Overnight at the hotel in Switzerland. After a continental breakfast, the day is free to relax in the hotel OR we suggest a visit to Jungfraujoch and picturesque Interlaken. Our scenic drive to Lauterbrunnen, from where we board a train to Jungfraujoch the highest altitude railway station in Europe at 11,333 ft. takes us along lovely lakes and mountain passes. Marvel at the changes in alpine scenery as your charming cogwheel train takes you on a unique journey to Jungfraujoch, the very Top of Europe. On top of Jungfraujoch, you have free time to explore the modern complex. Experience the magic of the mountains at the Sphinx Terrace. 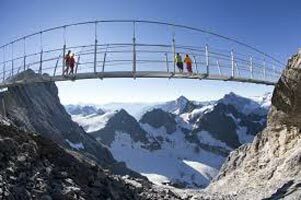 See the breathtaking Jungfrau Peak and the awesome Aletsch Glacier. Also, visit the Ice Palace, where you see a beautiful display of sculptures made of ice, while being encased in ice yourself. Send a postcard to your friends and relatives from Europe’s highest altitude Post office with its own special postmark. Thereafter we proceed to Interlaken, one of Switzerland’s best known health and pleasure resorts. There’s time to relax at the many cafes or shop for Swiss watches, chocolates, Swiss memorabilia, etc. Overnight at the hotel in Switzerland. After a continental breakfast, we check out and drive to Paris. On arrival, we check into the hotel. This evening is free OR we suggest an ‘Evening in Paris’ that includes great entertainment at the Paradis Latin show. Experience the charm of striking ballets, shimmering costumes and talented dance troupes. After the show, we take you on an Illumination tour of Paris. See the famous landmarks of Paris - the city of lights, magically lit up. A perfect end to this beautiful evening!!! Overnight at the hotel in Paris. After a continental breakfast, we proceed for a guided panoramic city tour. See Place de la Concorde, the majestic Arc de Triomphe, the fashionable Champs Elysees and the magnificent Opera House. 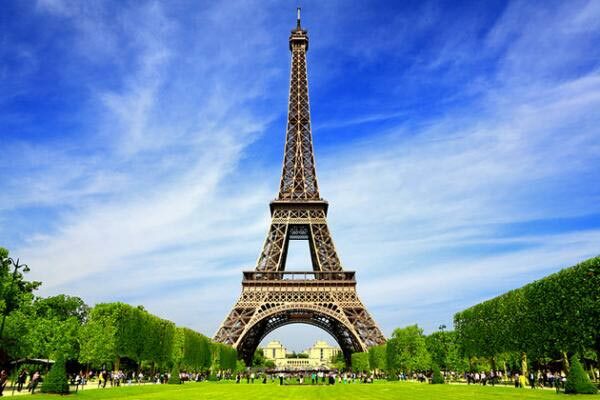 Next, we visit Eiffel Tower, the symbol of Paris, where a bird’s eye view from the 2nd level will leave you breathless! Later we take you on an exciting trip to Disneyland, Paris. Get charmed by Cinderella’s castle. Take an exciting roller coaster ride down the Thunder Mountain. Visit Fantasyland and meet Alice in Wonderland, Pinocchio, Peter Pan and Snow White. Get thrilled by the legends of Aladdin and Indiana Jones at Adventureland. Ride a space shuttle to the moon at Discoveryland. Encounter Ghost Ships, Steam trains and Western scenes in the Wild West town of Frontierland. In the evening we take you for dinner and then return to the hotel. Overnight at the hotel in Paris. and tell us how you enjoyed your holiday and any suggestions you may have for the future. Destinations Covered : Munich, Innsbruck, Budapest, Bratislava,..